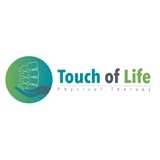 Touch Of Life Physical Therapy (New York) - Book Appointment Online! Touch of Life Physical Therapy specializes in Orthopedic, Sports, and Post-surgical Rehabilitation. At our office, a patient has one on one session with an orthopedic board-certified doctor of physical therapy. The 50-55 minute session is a customized session designed to meet the patients specific treatment objectives. We recognize the importance of not seeing the body as individual parts, but understanding the whole and the biomechanics behind functional movement of the body. We believe in holistic approach and treat the body as a whole, resulting in faster and more permanent recovery. HE IS A GENIUS TREATING THE TRIGGER POINTS !! !